Are you excited about the return of Jar-Jar Binks and pre-pubescent Anakin Skywalker, this time in 3D? Belgian fast food chain Quick is. 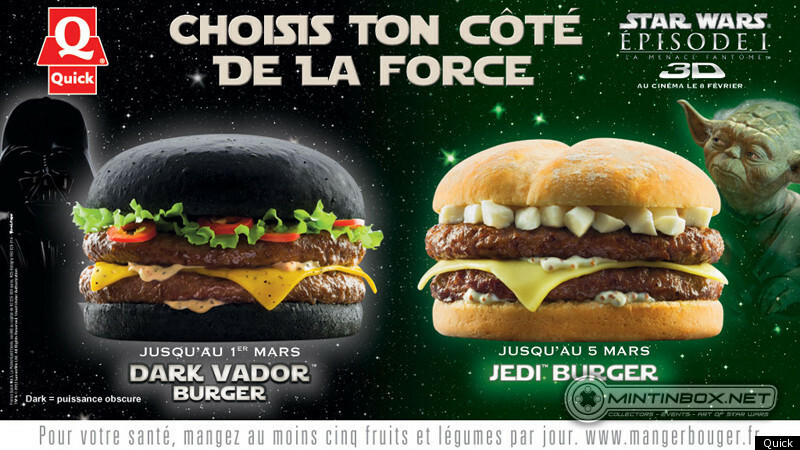 The company just announced that it will be offering Phantom Menace-themed burgers for a limited time in anticipation of the imminent re-release of Star Wars: Episode I in 3D movie theaters. 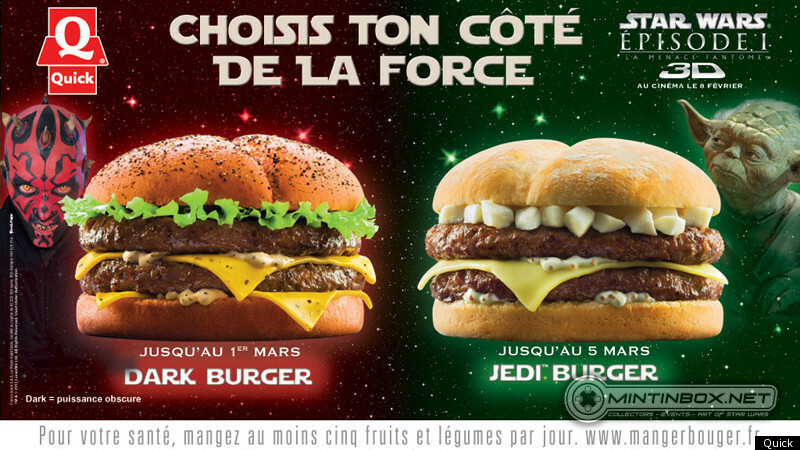 In case you cut even more of your high school French classes than the HuffPost Food editors did and are wondering what the French copy in the ad means, the top asks onlookers to decide which side of The Force they want to align themselves with, while the bottom encourages them to eat more than five servings of fruits and vegetables a day.